Do you like salt? I love salt, or at least I thought I did. Then I tried drinking out of Root7’s Himalayan salt shot glasses. Whoa. 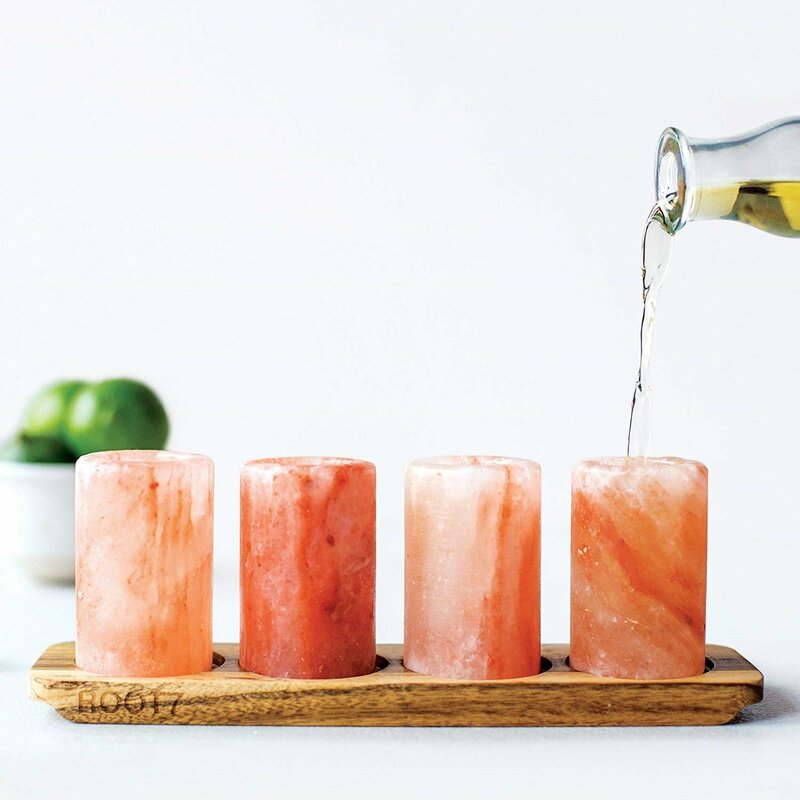 A whole bunch of producers sell these gizmos, which are exactly what they claim to be: Take a big chunk of pink Himalayan salt, shape it into a cylinder and hollow out the inside. Boom, you’re drinking out of salt. Roughly the size of a votive candle, with a centimeter-thick wall around its core, drinking out of the “glass” isn’t the most comfortable thing. The huge lip is tough to get your mouth around, but the idea here is probably more that you will — very quickly — pour some tequila into the glass (it only holds a scant 1 oz. ), shoot it, and grab a wedge of lime to finish off the unholy trinity of tequila shots. And yes, while you could technically put anything in the glass, this is designed for tequila through and through. The official instructions even say so — and they also instruct you on how to wash, dry, and store your salt shot glasses, because they’re fully reusable. Now there’s one thing to mention that I only alluded to before. Because these are glasses made out of salt, I expected they would impart some saltiness to the drink inside. What I was not prepared for was that in a half a minute the tequila in the glass would become the equivalent of liquid brine, like sipping on seawater or licking the shoe of a Morton’s factory worker. Overwhelming to the point of being almost ghastly, these glasses don’t so much as imbue your spirit with salt as provide a slight tequila hit to a glass of salt juice. If you do use them, be ready to pour-and-shoot within a matter of seconds. Otherwise, they’re quite pretty to look at, as anything made from Himalayan salt is. But would it be wrong to just put a candle in them instead of tequila? Set includes four glasses and a wooden tray.